Menopause is always talking to women. It's talking to us in our 30s when we feel our biological clocks ticking. It's talking to us in our 40s when we begin to see changes in our bodies. It's loud and clear in our 50s when the night sweats keep us awake and the hot flashes interfere with our work, and in our 60s when we question our sexuality, femininity, and often our relevance. 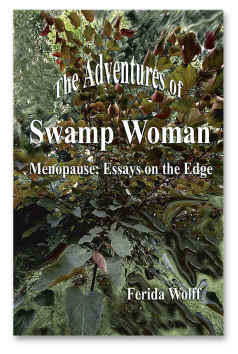 Swamp Woman takes a sassy, brassy personal look at the subject of menopause. The essays express the angst and anger, the grief and giddiness of midlife as they explore the physical and emotional changes as well as the psychological and philosophical shifts that are required as we mature into the wise women we truly are. With nearly 32 million women today and an estimated 45 million by the year 2020 on the frontlines of menopause battling hot flashes, night sweats, heart palpitations, mood swings, and sleepless nights, there is a need for acknowledgement, understanding, and most of all honesty about this major change in women's lives.